Our team of fully qualified engineers cover Cornwall in a fleet of 27 vans. 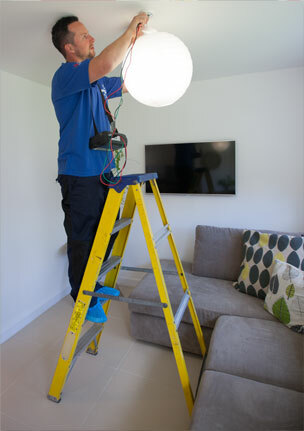 In delivering a wholly professional and reliable service to domestic households, we do everything from replacing a broken socket to consulting on and installing the very latest technologies. Covering all aspects of renewable power, lighting, AV, remote control, fire, security and much more, we specialise in increasing energy efficiency, safety and comfort. We take pride in having been in business nearly 70 years and know we must be doing something right, as we have established Cornwall’s largest independent network. So remember, no matter the size if you want a great job done for the best possible price, you can rely on the man in the sky-blue van!